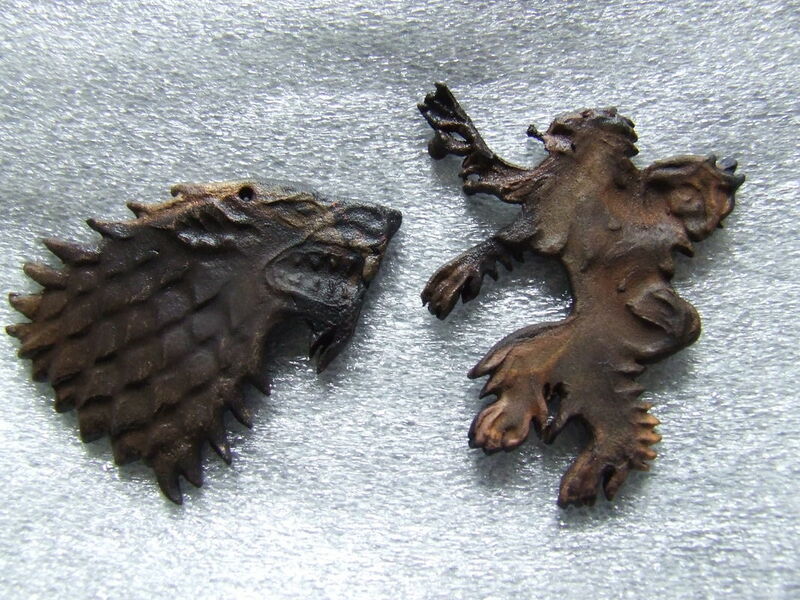 I was thrilled at the idea of using metal clay when I first got back into ceramics. 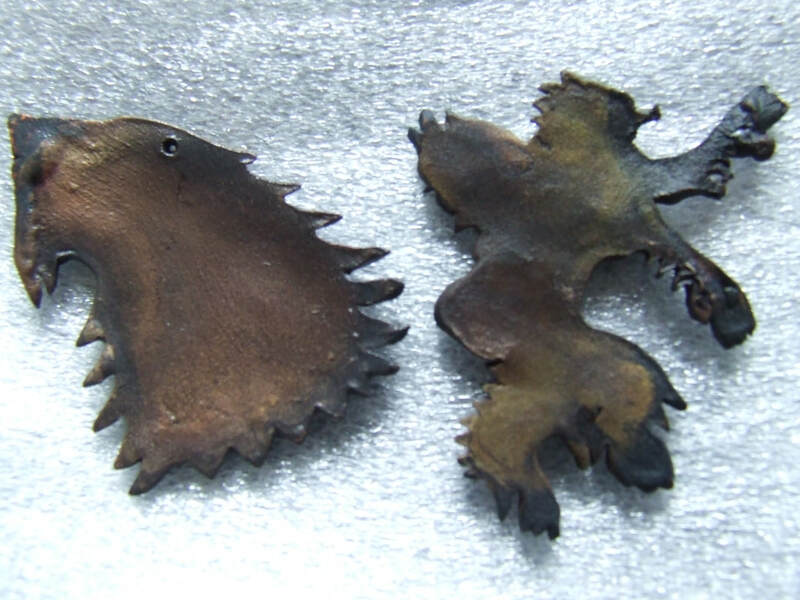 If it worked as well as it claimed I would be able to carve clay moulds and produce copper or bronze pendants and keyrings, it was an exciting area to branch into. As a big plus, the Prometheus brand of metal clay didn’t require activated carbon (to starve it of oxygen during the ‘sintering’ process), and nor did I have to fire up the kiln, a blow torch being sufficient. I wasn’t keen on putting anything metallic in my kiln due to the possibility of it bubbling/spitting and damaging the elements, so this seemed a good alternative. The first thing I noticed upon taking it out of the bag was the unfamiliar texture. It may call itself ‘clay’ but only in the sense that it’s broadly malleable and affected by water content. It’s difficult to try and explain the differences but for someone used to working with normal clay this feels much more elastic overall. With the application of water it becomes incredibly sticky, but without water it has the tendency to crack around the edges badly, so it was a balancing act of finding the right level of hydration. The stickiness was an issue. Within seconds I was scraping it off my small plastic rolling pin, and likewise had to scrub it out of my first mould, wasting precious grams down the sink. 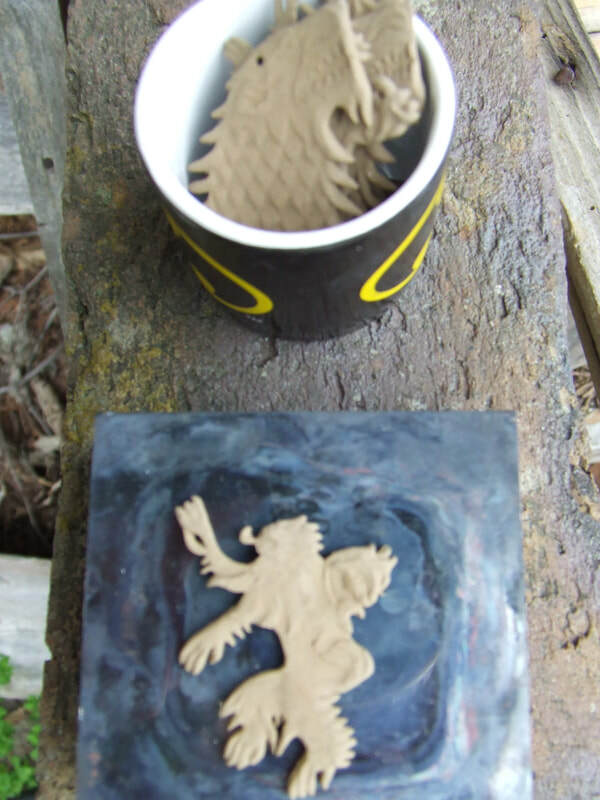 Oil turned out to be the key, and before each mould I would have to liberally paint every surface with oil. This, of course, made the process rather messy. The pieces came out very soft and floppy but they took a decent amount of the detail. Under normal circumstances, with regular clay, I’d be concerned about the clay developing a ‘memory’ and retaining the shapes they were bent into before being laid to dry. 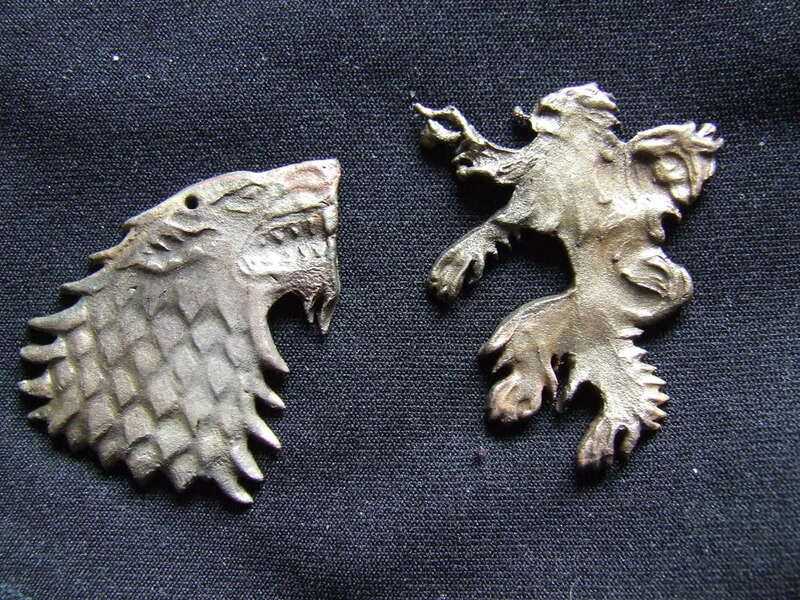 But this didn’t seem to be an issue with the metal clay and they all dried flat with no signs of warping. When dry they were incredibly resilient. I had expected to be able to touch up some of the detail once they dried but this was only possible if I moistened the area again, at which point it would become extremely unstable and any touch-ups had to be done with utmost care. When dried, even an engraving tool struggled to make a mark, instead leaving the area smooth and shining – the copper colour I was hoping to see once finished. 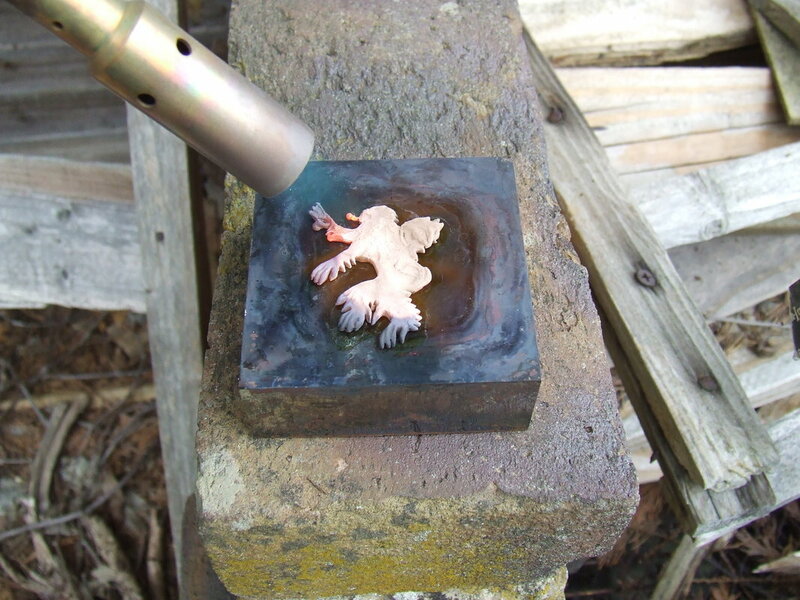 Using a small kitchen-sized blow torch I heated the first piece up on a flat block of steel, a jeweler’s anvil. The company suggests using metal mesh but I didn’t have any on hand and I hoped it wouldn’t make a significant difference. The piece heated and glowed a dark red, but the flame was too small to keep the whole piece at a consistent temperature and it cooled quickly as soon as there was no direct heat applied to it. The first attempt was an abject failure for this reason. The copper particles never welded together and the piece became brittle enough to crumble in my fingers. For the second attempt I bought a bigger blow torch, this one able to keep the whole piece at temperature for the required 5+ minutes. The results were inarguably better, but still short of what I was hoping. I don’t know whether I perhaps kept some parts too hot for too long, but they seemed to bubble, flake up in places and formed an undesirable texture on the surface. Additionally, the burned black patina is almost impossible to remove fully, even after intensive scrubbing with a wire brush. On the whole I was quite disappointed with the quality and don’t think there’s that many changes I could make to my process that would affect the results, at least not enough to have them come out looking like how Prometheus claims they will.